1:40 PM Disturbance at the main branch of the NY Public Library. Last weekend while Bill and I were working on equipment and uniforms, our colleagues to the north (and other international franchises) converged at New York Comic Con. Before the BIG meet and greet, they met up for photo ops at the main branch of the New York Public Library. 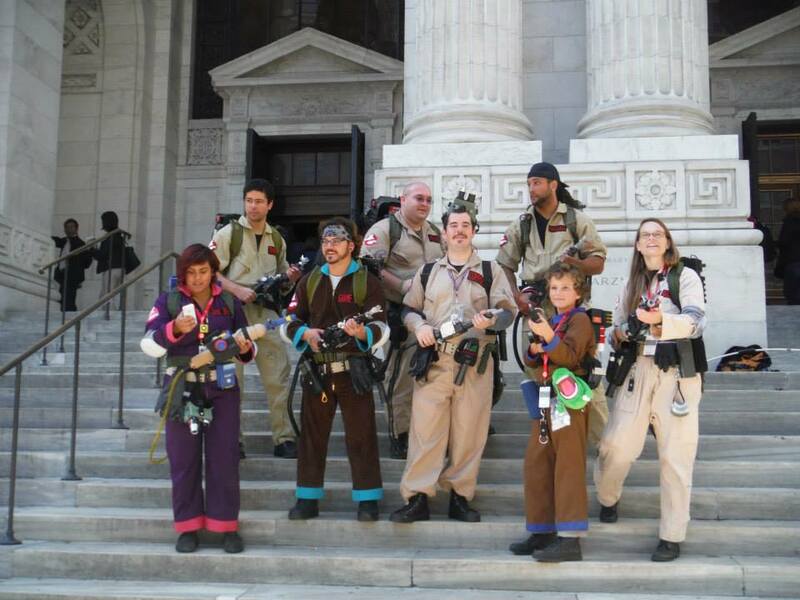 Jody shared no less then 73 photos through the North Jersey Ghostbusters Facebook page. Additional photos can be found through individual members pages. Peter Mosen, the original ghosthead was a part of NYCC for photo ops and meet and greets in the afternoon of October 12. Check out his Facebook post for information and pictures too.